Without fail, the dealership would get one call, then another, and still another as the enthusiasm gave way to confusion. "Where is the circuit box," they'd ask one time. "My slide out won't slide out," they'd ask a few hours later. "What was it you were supposed to do before you could turn on the air conditioner," they'd ask on the third call. “How come I don’t have any hot water,” they exasperated RVers would exclaim. 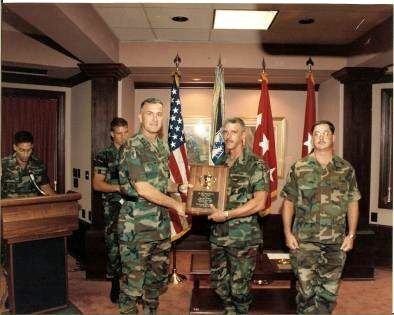 Chief Warrant Officer Three Mark Polk was awarded a first place maintenance award from General Shelton. 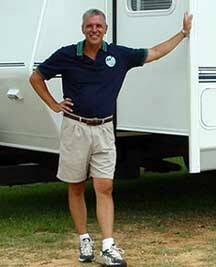 Eventually, he also filmed a walk-thru of a Class A motorhome, then a pop-up trailer, then a Class C motorhome. 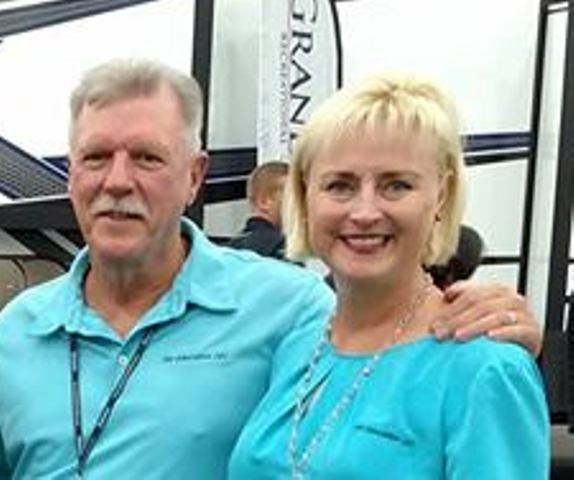 Pretty soon, they had a set of four videos and figured they had every aspect of the RV industry covered. Eventually, as the recession unfolded, Wal-mart discontinued carrying the product in stores and opted to focus more on consumable goods. But, by then, RV Educational 101 had a strong national market and even stronger name recognition. Wal-mart online still sells the videos. They developed a Go For The RV Gold program, a self-paced 12-week training course centered around three different modules: bronze, silver and gold. People who completed the program received a certificate of recognition as well as perks from RV-related companies like discounts and coupons. 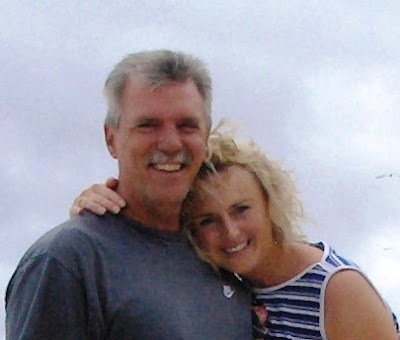 The training was so effective that National Interstate Insurance allowed RV owners to receive a 5 percent discount on their insurance costs by simply completing the course. "The whole program is self-paced, and each lesson builds off the previous one," Polk explained. "We have set it up so that people can complete the training at a comfortable pace over a three month period -- about one lesson a week. "People eager to learn can get through the whole thing in three weeks," he added. The training is very simple to follow. 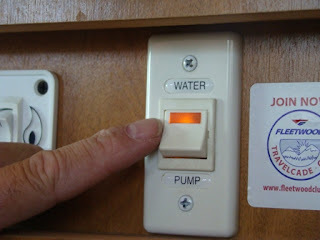 Lesson One, for example, focuses on RV water systems. It features four videos ranging from 2.5 to 10 minutes. There are a few short articles people can read that elaborate on key points and Polk offers several tips for better understanding. The lesson also includes helpful links to RV companies and the products or services they provide as well as links to discount coupons should people want to upgrade their water systems to take advantage of additional features Polk discusses in the videos. Full-time RV users involved with the Escapees RV Club also offer helpful hints to assist new RVers in better managing their septic systems. As the lesson closes, users can hone their skills by completing a crossword puzzle before taking a five-question quiz. In fact, the Polk's along with heir two sons are looking forward to spending five weeks this summer on the road taking a cross-country RV trip to Washington State. He admits to being surprised at the reluctance of many RV dealerships to embrace the product line. Of course Polk sends books and videos to hundreds of dealerships who share his vision of providing quality basic education to new RV owners. But, there are thousands of other dealerships who don't see a need to carry the DVDs and book. 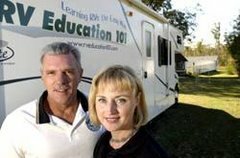 RV Education 101 still sells single DVDs for $24.95 per title, with discounts on boxed sets. It's an inexpensive, but greatly appreciated gift for new RV owners. They also offer attractive wholesale pricing for RV dealers so they can pass the educational DVDs on to their customers at an affordable cost, Polk said. But, their Go For The RV Gold program makes training even more affordable. The entire 12-week course sells for $149.85, which RV owners can pay over three monthly payments of $49.95. That works out to about $12.95 per course. People who enroll in the course can revisit each lesson as often as they want over the 12-week period. To view an introductory video of the Go For The RV Gold program, click here. 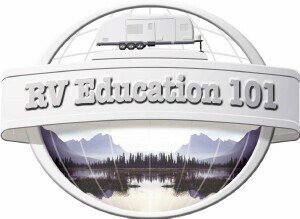 For more information on RV Education 101's products, visit http://www.rveducation101.com/.